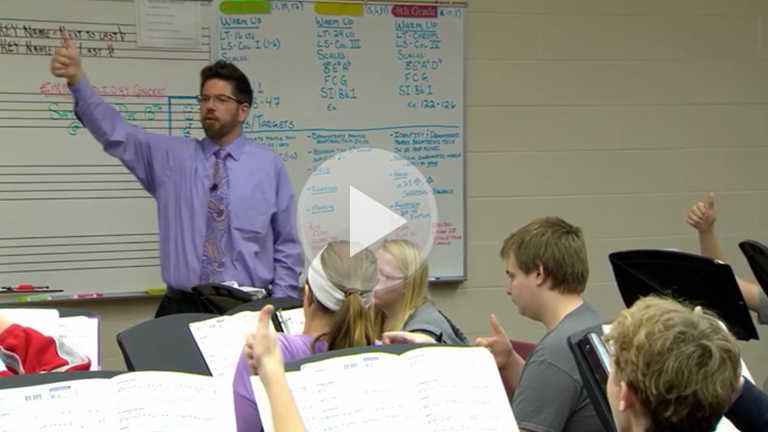 See how Mr. Kelsey collects and documents evidence of learning and responds accordingly. How did Mr. Kelsey respond to individual students when they indicated their performance as thumbs-up, thumbs-down, or thumbs-sideways? How did Mr. Kelsey respond to common mistakes that impacted more than one student? How does Mr. Kelsey use student self-reflection as opportunities for encouragement? There are many ways to formatively assess in the moment. Mr. Kelsey uses “thumbs up/thumbs down”. What methods work for you and why? How do you respond when student self-assessment is not accurate? Mr. Kelsey’s classroom was filmed near the end of first semester. What steps do you take to create an environment in your classroom, so that by mid-year students are comfortable with self-assessment? How will you ensure that student self-assessment is part of the daily routine in your classroom? How will you continue to build an environment where student-self-assessment moves the learning forward for your students?